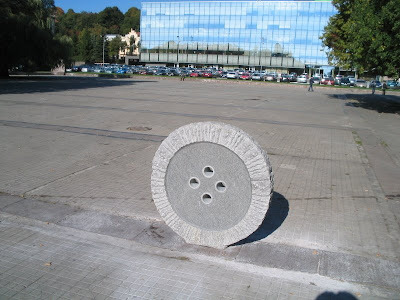 Here we have a small collection of button sculptures, hope you will like them! 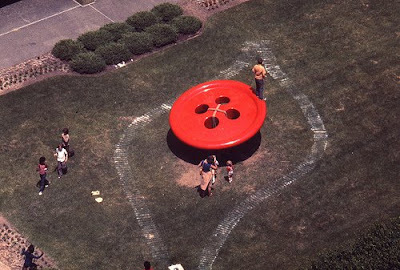 Lorrie's Button (Grand Rapids, Michigan. 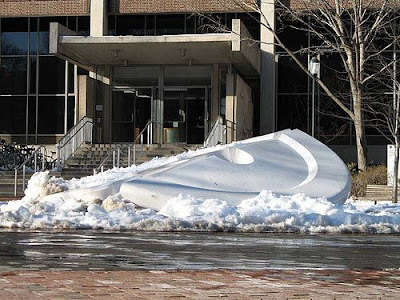 ): Hy Zelkowitz created this sculpture. 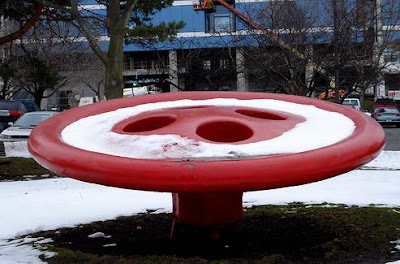 It's a huge red button installed on a tilted axis. 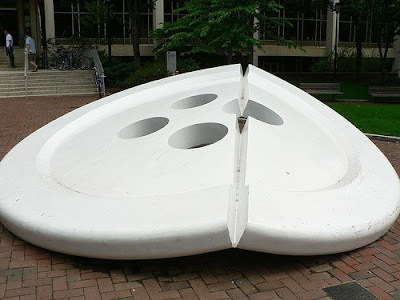 "The center of the button is pierced with four large holes. 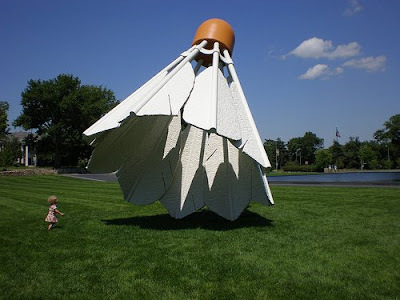 The sculpture was designed for children to climb on and is installed in a playground area of the park." 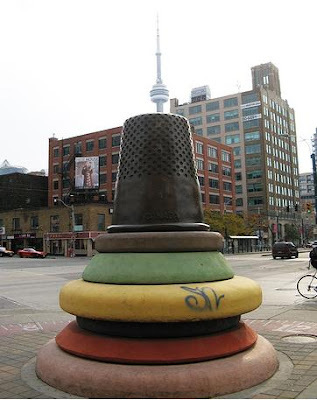 Sculpture Of Buttons And Bronze Thimble: Created by Stephen Cruise located at Spadina Avenue, Richmond Street, Toronto, Ontario, Canada. 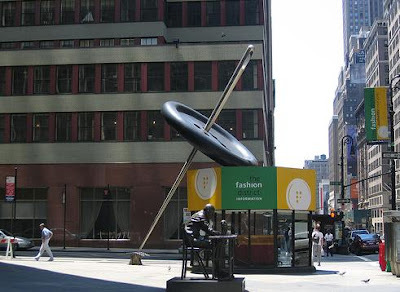 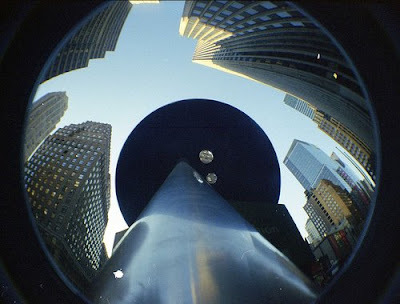 Needle and Button: This sculpture signifies the Art District in Manhattan. 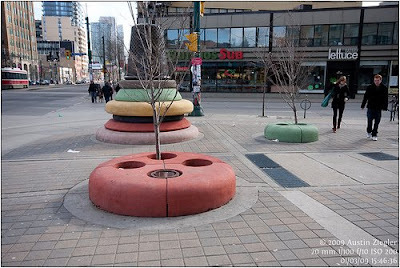 Bouton: It was created by artist Esther Lapointe, in the year 1977, using tufo stone and marble and its located in Lorne Park / Elm street. 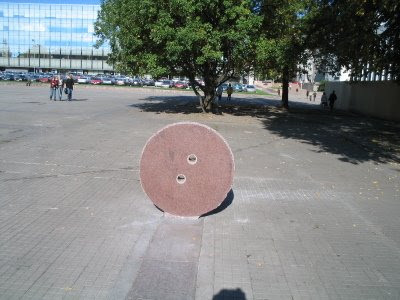 Buttons: Near BLC, Vytautas Magnus University. 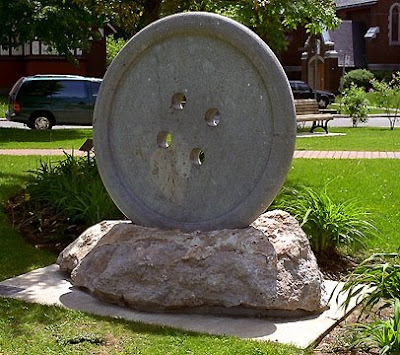 Button Sculpture: Artist Lisa Kokin created these amazing works of art using buttons and other small objects. 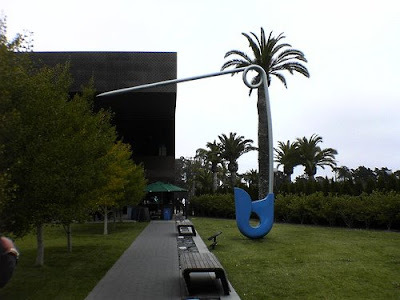 Once we were through with the button sculptures, it occurred to us that there should be many more sculptures that must have been inspired from ordinary everyday objects. 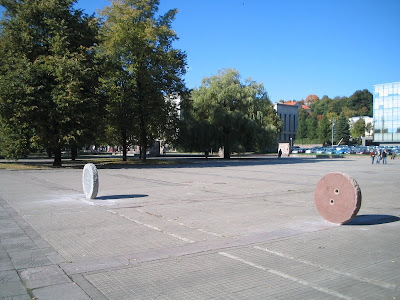 And here are a few of those interesting sculptures that we found. 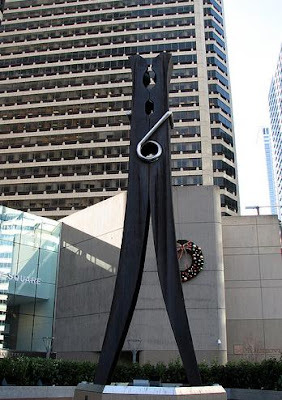 Clothespin Sculpture: Located in Center City, Philadelphia, PA. 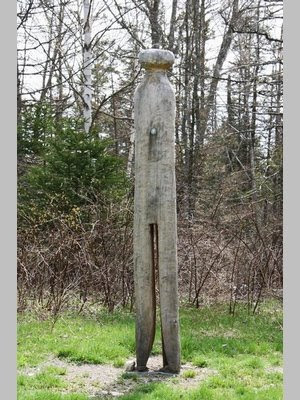 Clothes Pin Sculpture: George Child created this wooden sculpture, it commemorates the once successful clothes pin factory in Lewiston Lake, near Sheet Harbour. 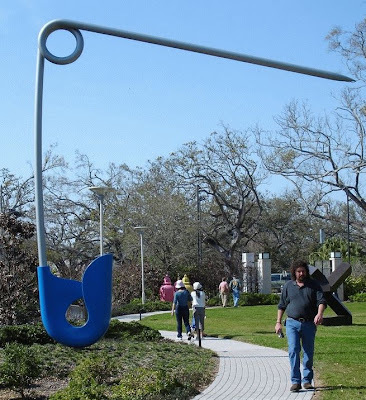 Safety Pin: Another creation of Claes Oldenburg and Coosje Van Bruggen. 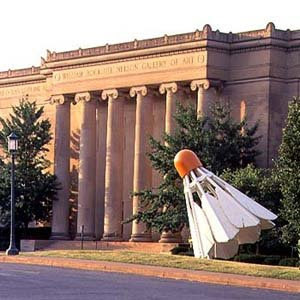 Shuttlecocks Sculpture: Created by Claes Oldenburg and Coosje Van Bruggen and its installed at Nelson-Atkins Museum Sculpture Park, Kansas City, Missouri. 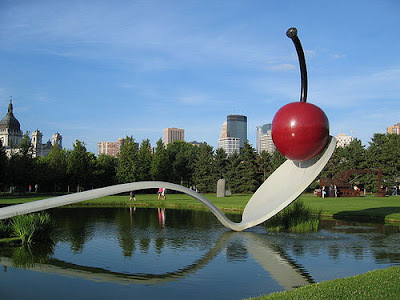 Spoonbridge and Cherry Sculpture (Minneapolis Sculpture Garden): Created by Claes Oldenburg and Coosje Van Bruggen. 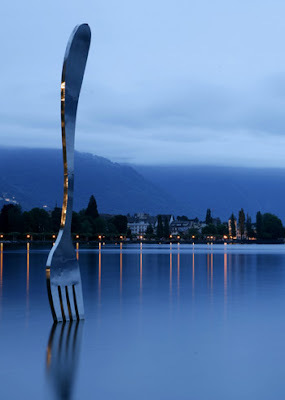 Fork Sculpture: Created by Swiss artists Jean-Pierre Zaugg and Georges Favre, in front of the Alimentarium, the Food Museum.